JG Thirlwell will be performing his Cholera Nocebo project on June 17 2016 at the Dark Mofo festival in Tasmania, Australia on a bill with Chelsea Wolfe and Jarboe. The concert will take place at the Odeon Theater in Hobart. Tickets for the New Zealand shows are available here or instore at Slow Boat and RPM in Wellington, or Flying Out in Auckland. 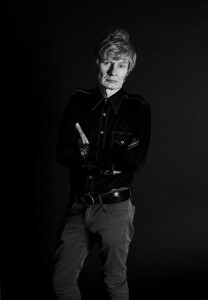 These will be JG Thirlwell’s first ever appearances in Tasmania and New Zealand. Cholera Nocebo is an electro-acoustic presentation performed by JG Thirlwell with electronics, autoharp and objects incorporating musique concrete and electronic sound along with live instrumentation. Thirlwell performs with a projection of a time-lapse car journey along the Long Island Expressway in NY, shot by gea*. JGT will finally be creating the Cholera Nocebo album later this year, in stereo and 5.1 surround sound.